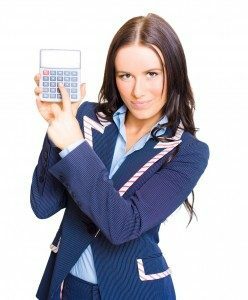 Generally speaking, we can distinguish two main attitudes to the job of an accountant. Most people have the first attitude–they keep record of every transaction, maintain the books, prepare the reports and year-end financial statements when someone asks them to prepare them. The second attitude consists in trying to do something extra, to bring some value to the company. Such an accountant gives suggestions to the managers, proactively looking for methods of reducing tax expenses. Needless to say, companies prefer to hire people with the second attitude, those who do not think only about their paycheck. Show them that you have guts, and care for their profits. But at the same time ensure them that you would not do anything that could possibly harm the reputation of their company, or result in a severe penalty (small penalty is sometimes worth the risk, and the possible reward a creating accounting application can bring to the company). I believe that a good accountant should use all available means of helping their employer to save money. That’s why I like creative accounting, and I always look for new ways of implementing it, discussing it in confidentiality with my superiors. Even a computer can take care of financial reporting and bookkeeping. However, a good accountant analyzes things, looking for ways of cost reduction. On the other hand, I would never do anything that could harm the reputation of my employer, or put them under a risk of a severe financial penalty. Special Tip: If you want to impress them with your answer to this question, suggest a practical application of creative accounting. Talk about something you did to reduce the expenses. You can find several ways of doing that in my eBook, the Accountant interview guide.